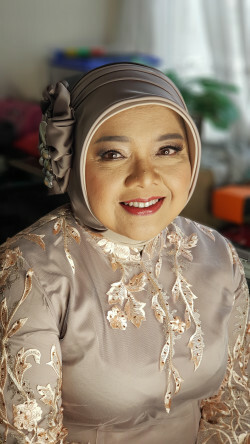 International Bridal Certified Makeup Artist from Puspita Martha International Beauty School. I always use high quality makeup and tools. I ensure my makeup brushes and tools always clean and hygienic before I use it to my clients. Learn how to do facial treatment for clients. Using all Artistry Skin Care product. Bring your own model. Products and tools are provided. Place for facial class will be at Monik's place (outside Monik's place, transport fee will be charged depend on the area). Artistry Certificate included. Makeup course for who want to be makeup artist & open her own makeup class. 6x meetings includes theory and practical test. Artistry Certification for Makeup Artist. 3 hours per meeting. Monik will provide makeup and tools for makeup class. Place for makeup class will be at MUA's place (outside MUA's place, transport fee will be charged depend on the area). Wedding makeup only for wedding (akad/resepsi). Free trial wedding makeup. No Retouch. Transport fee is not included. 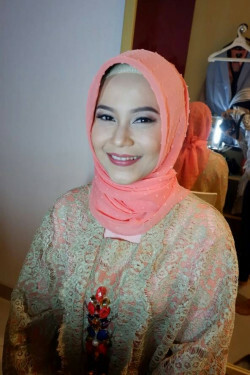 Wedding makeup + hairdo/hijabdo for wedding (akad/resepsi). 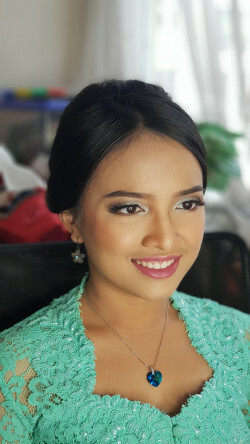 Free trial wedding makeup. No Retouch. Wardrobe, Accesories, Hijab, Sanggul hair, etc are not included. Transport fee is not included. 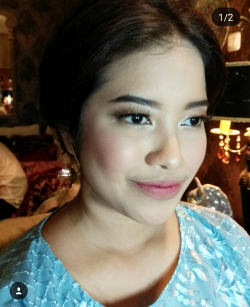 Wedding makeup for wedding (akad). 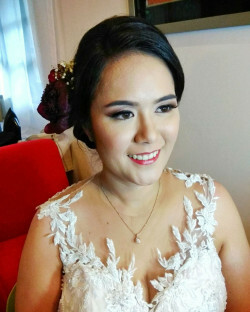 Free trial wedding makeup. With Retouch (resepsi). Transport fee is not included. 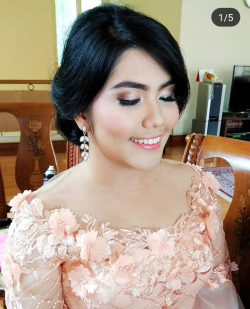 Wedding makeup for wedding (akad). 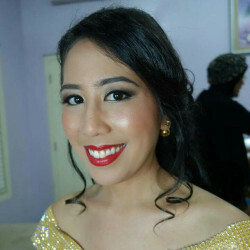 Free trial wedding makeup. With Retouch. (resepsi). Wardrobe, Accesories, Hijab, Sanggul hair, etc are not included. Transport fee is not included. 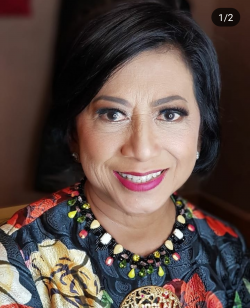 Makeup only for Engagement or Pengajian. Transport fee will apply for some area. 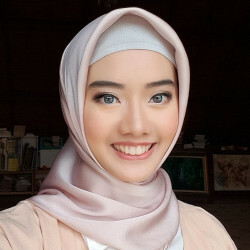 Makeup with Hijab or Hairdo for Engagement or Pengajian. Transport fee will apply for some area. Makeup Only (include stand by for 6 hours) for Photoshoot, Maternity, Pre Wedding. Transport fee will apply for some area. 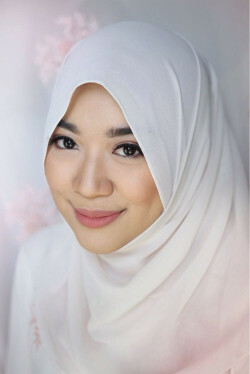 Makeup with Hijab or Hairdo (include stand by for 6 hours) for Photoshoot, Maternity, Pre Wedding. Transport fee will apply for some area. Makeup Only for Photoshoot, Maternity, Pre Wedding. No Retouch. Transport fee will apply for some area. 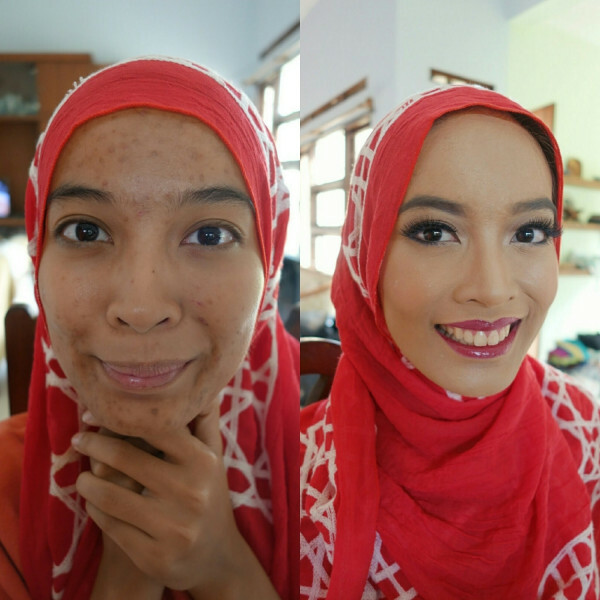 Makeup with Hairdo or Hijab for Photoshoot, Maternity, Pre Wedding. No Retouch. Transport fee will apply for some area.